Geology has been taught at Williams since 1817, when it became only the 5th college in the country to teach the subject. 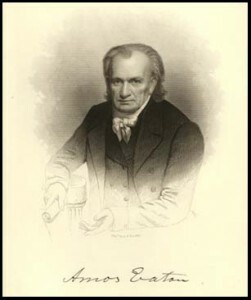 It was introduced to the curriculum by Amos Eaton, a pioneering geologist, botanist and educator. 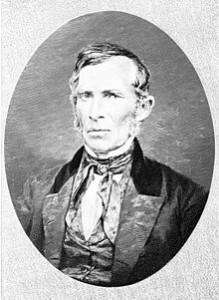 Eaton, Williams class of 1799, is famous for developing teaching methods that focused on “the application of science to the common purposes of life.” Whereas most teachers of the time lectured and demonstrated to students, in Eaton’s classes students learned by doing. His students went on field trips, ran experiments, and gave lectures. Although Eaton taught only briefly at Williams, his legacy has infused and enriched the college ever since. He went on to found the Rensselaer School, later renamed Renssenaer Polytechnic Institute (RPI) in Troy, NY. In the 1800’s, geology was taught with other sciences as Natural History or Natural Science. 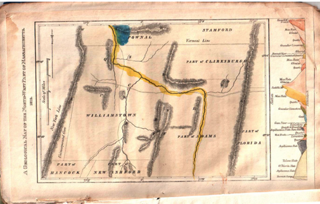 Other prominent early educators who taught these broader disciplines at the college include Chester Dewey (Williams, 1806), who published the first geological map of the area in the inaugural volume of the American Journal of Science in 1819. During his 17 years of teaching at Williams he taught astronomy, botany, mathematics, mineralogy and geology, natural philosophy (physics) and was responsible for initiation of meteorological readings at the college. 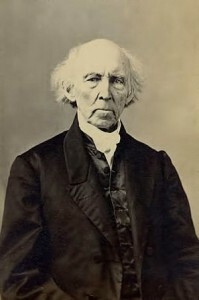 Although he published 16 titles in geology, he was better known as a botanist, concluding his career as a professor of natural philosophy and chemistry at the University of Rochester. At the close of the 19th century, a fourth geologist of considerable repute to teach at the college was T. Nelson Dale, who was on the faculty from 1892-1901. A man with no formal college training but a dynamo in field geology, his less-than-smooth experience at Williams is described in his autobiography, Outcomes of the Life of a Geologist. He re-established the geology museum in the first Clark Hall for the College’s centennial in 1893 and did extensive field work in the local area. 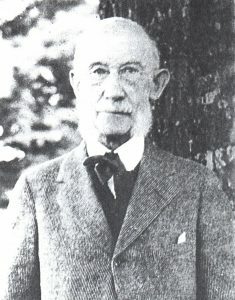 After leaving Williams abruptly in 1901, he went on to become one of the leading New England geologists in the early days of the U.S. Geological Survey, publishing scores of articles about regional geology and structure and about the building stones of the Northeast and U.S. (granite, slate, marble). By the start of the 20th century geology had outgrown its previous association with natural history, botany, and even mathematics. The Department of Geology and Mineralogy was established in 1906, and a major with the same name was created in 1920. In 1996 the department name was changed to “Geosciences,” to reflect our growing interest in the oceans and climate change in addition to the solid earth. 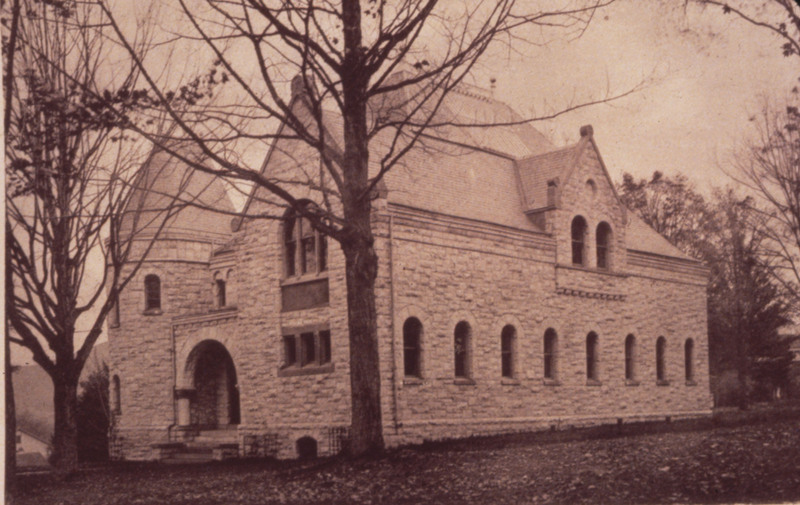 From 1882 to 1908 the department was housed in the first Clark Hall which was located in the Berkshire Quad near where Prospect House now stands. It was named for Edward Clark, Class of 1831, a prominent lawyer who later became president of the Singer Sewing Machine Co. (One of his grandsons was Robert Sterling Clark, for whom the Clark Art Institute was named.) 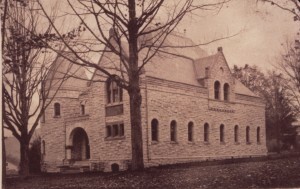 The present Clark Hall was erected on its current site on Main Street in 1908. Much of the newer structure was devoted to museum space (from the main floor to the skylight), until the building was extensively renovated in the late 1970’s to provide additional classroom, lab, and office space.